This program, sponsored by Reach for Resources, is for teens (ages 15+) and adults on the autism spectrum. 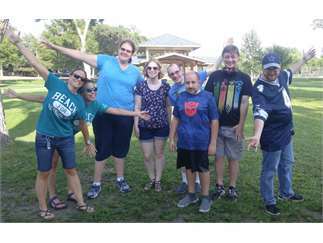 Meeting once each week for 10 weeks, the group enjoys games, crafts, the outdoors, and socialization. A brief intake meeting is required for all new participants. Call 952-393-4277 for more information or to schedule an intake. Reach for Resources supports individuals with disabilities and mental illness reach their full potential. Social Seekers is one great program example of how we strive to do this! For more about Reach, visit https://www.reachforresources.org.